The body of a woman has been located in Kennington, Oxford. 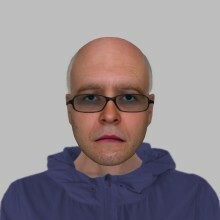 Thames Valley Police is releasing an E-Fit image following an attempted burglary in Bracknell. Thames Valley Police is appealing for witnesses after a road traffic collision which has sadly resulted in the death of a man from Slough. Thames Valley Police is appealing for witnesses following an assault in High Street Banbury. Thames Valley Police is appealing for witnesses following an incident in Reading. Following an investigation by Thames Valley Police a man has been sentenced to 8 months’ imprisonment for possession with intent to supply cannabis. 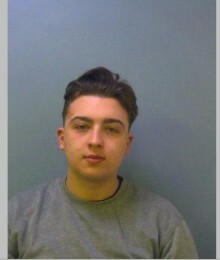 Thames Valley Police is appealing for witnesses following an assault in Oxford. Following an investigation by Thames Valley Police a man and a boy have been sentenced after pleading guilty to possession with intent to supply heroin and crack cocaine. Following an investigation by Thames Valley Police a man has been given an adult restorative disposal following an incident of criminal damage. 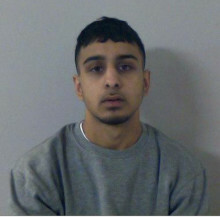 Following a Thames Valley Police investigation, a teenager has been sentenced to more than three and a half years’ in prison after being convicted of three counts of robbery and possession of a bladed article in Wraysbury. Thames Valley Police is appealing for witnesses after a police officer sustained a serious leg injury while responding to a public order incident in Crowthorne. The conduct of a former officer, who touched his colleagues inappropriately, amounted to gross misconduct, a hearing has concluded. Following a Thames Valley Police investigation, a man has been sentenced to two years’ imprisonment after being convicted of two counts of inciting a child to engage in sexual activity. Thames Valley Police has charged a serving police officer in connection with an indecent assault. Following a Thames Valley Police investigation, a man has been convicted of wounding with intent and possession of a bladed article. Thames Valley Police is releasing CCTV images of two men officers would like to speak to in connection with two incidents of theft in Dorchester. 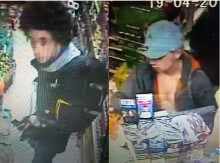 Thames Valley Police has released CCTV images of two people who may have vital information in connection with a theft in Ascot. 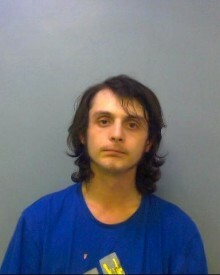 Thames Valley Police is appealing for the public’s help in tracing a man who is wanted in Oxford. Thames Valley Police is releasing an e-fit following a burglary in Kings Road in Windsor.